Our school garden is thriving. Last year we linked with a school in India for a garden project. We have took part in a seed exchange and plan to plant native Indian flowers and vegetables in our garden and indoors in our school, leading to a study on climate and availability/import of food in to Ireland. 4th Class completed a project on the banana and how it gets from plant to our fruit bowls. 2nd Class completed a study on the grain train and how grain is transported. 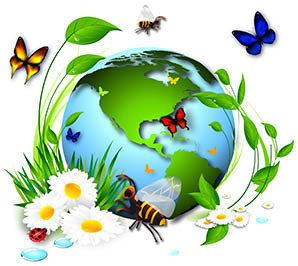 Biodiversity is a topic covered by all classes as part of the curriculum.